When the Belgian government said recently it was hoping for a climate deal it wasn’t talking about the UN talks in Paris — it was talking about its own troubles. 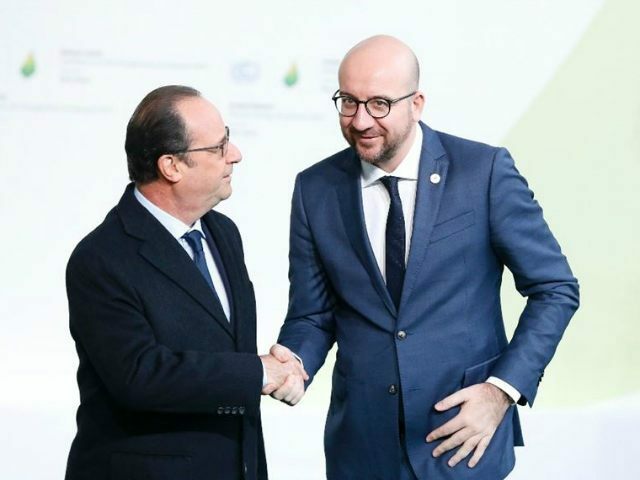 Arguments between the French and Flemish speaking regions of an increasingly divided country meant Prime Minister Charles Michel went to Paris without any agreement. They are split over how much each region — the poorer French-speaking Wallonia and the richer Flemish-speaking Flanders — should make to meet Belgium’s commitments. “This doesn’t give a good image of Belgium,” deputy prime minister Kris Peeters, a Flemish lawmaker, told VRT radio on Tuesday. Michel said as he arrived in Paris that Belgium would pay 50 million euros a year in climate aid to developing countries until 2020. Belgium is also committed to reduce its emissions by 15 percent by 2020 compared to 2005 and to make 13 percent of its energy from renewables. But local media and activists have criticised Belgium for failing to reach an agreement within Belgium itself — a country which already has four environment ministers for Brussels, Wallonia, Flanders, and the federal government. They have still not agreed on a breakdown of costs for the adoption of the measures that Belgium has promised, or of how to share the proceeds of carbon quotas. French-speaking lawmakers have accused the Flemish nationalist N-VA party of “playing politics”, after a deal accepted by Wallonia and Brussels was knocked back by Flanders. Belgian authorities have recently faced criticism in the wake of the Paris attacks for a lack of coordination in security issues. Belgium is a relatively modern invention, born in 1830 as an independent state to act as a buffer between France and Germany. It is now an uneasy mix of a Flemish-speaking, more conservative north and a French-speaking, poorer left-leaning south with a small German-speaking population near the border.